Howdy from all the CodeRanch staff, and welcome to the February edition of the CodeRanch Journal. * A discussion with an explanation about the differences between a Lambda and method reference in Java 8. Book is structured around a set of examples where authors take a bad code snippet and show you how to convert it to a clean/maintainable code. These examples are captured around a single theme which makes it easier to follow . It starts with simple yet some of the widely made mistakes when using booleans and basic constructs and demonstrate how to correct them. It also discusses some of the best practices of coding certain specific constructs and addresses performance concerns when using them. It’s good to see two separate chapters, one to talk about comments in the code(and how best to utilize them) and the other about the naming conventions and how to go about writing more readable code. The book covers fairly good amount of exception handling separately. It also has a chapter on how to write tests and how to structure your test code with JUnit being used as the reference library. I liked how they cover some of the high level design aspects along with how you can design & structure your classes/methods to better understand the code.Book has a separate chapter on new functional/streaming aspects of Java, which tries to provide a basic understanding on some of the fundamental patterns & use cases. 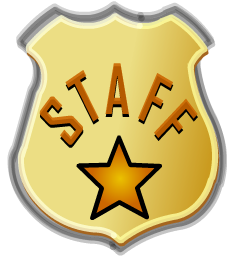 But they don’t go in to much details to cover more advanced use cases.At the end it gives you some taste in to the real world development aspects which is a very high level coverage on some of the tools frequently used for development as well as for production related activities. The background for the book has been the experience the authors gained by teaching Java to students, so they are able to express some common mistakes/practices specially the novice programmers are getting in to. It does not cover advanced concepts such as concurrency etc… which is not the intention of the book. I liked how they have added the code snippets in the chapters as they are clearly pointing out the lines of code which are the focus of the explanation that follows. 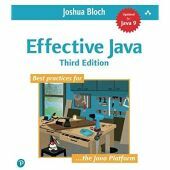 Overall it is a good one to have as a reference to some of the fundamental patterns/practices of Java programming. Disclosure: I received a review copy of this book from the publisher for reviewing it on behalf of CodeRanch. You need a Java 8 compiler, a text editor, and a fresh mind.That's it. Did you try with plugins whether that would help? Even without it did you check that when you build the project it has the source file compiled to the configured target dir? 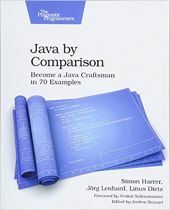 I just saw in other thread the book does not cover modules, but what's your thoughts on the usage and patterns/practices for modular Java based applications. Any plans to update the topic in the book? You may have to check with JBoss configs and/or JRE path what is wrong with your key store etc... A similar one here. Help: How do i gain confidence as a coder? The more you write code you'll have more confidence. Also it might help if you could read/see how other experience developers solved certain problems. And if you write code then don't rely on IDEs much (at least at the beginning) as you may not know what is going on underneath. So try to use the command line as much as possible. Once you are confident you may use IDEs. Welcome back Josh! Great to have you here. Help! Urgent! I am supposed to be going away. When is my train? Nope, you need to wait few more days.